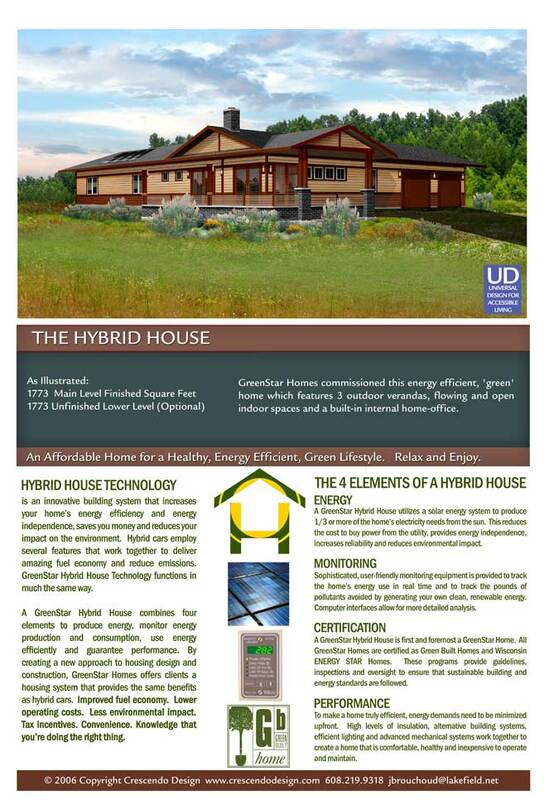 The Hybrid House concept was designed with GreenStar. It features a comprehensive solar electric (photovoltaic) package, along with displays that will not only track the amount of energy produced, but also the pounds of pollutants avoided. An Energy Viewer will also provide a real-time readout of the amount of electricity being consumed, which will be networked with several Automated Home technologies, including Ecobee’s Wi-Fi Smart Thermostat. These new technologies will enable you to monitor and control your home’s energy consumption in real-time through an online web interface, or by sending you e-mail notifications and text messages. Other eco-friendly features will include: recycled content roofing and siding materials; FSC certified framing lumber and flooring; non-toxic AFM Safecoat paints and finishes; Low E, ENERGY STAR rated windows and doors; recycled content drywall; cork, natural stone, wool carpet and recycled content tile flooring; spray foam insulation combined with recycled content, formaldehyde free fiberglass; Amish made cabinets and trim; FSC certified wood interior doors; recycled content countertops; dual-flush water saving toilets; ENERGY STAR qualified lighting; native landscaping; and rain gardens and drainage swales for storm water management. 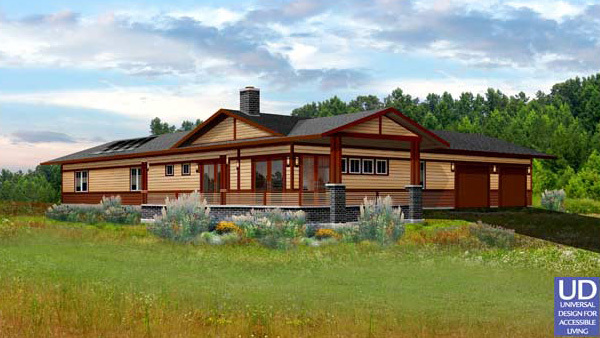 The home will far exceed the sustainable building and energy standards of the Green Built Home program and will also be a certified Wisconsin ENERGY STAR Home.